It's my second purchase. Bought one many months ago. The mirror is of good quality. Not blur or uneven like those poor quality mirrors. It's good enough for putting on make up. The adhesive is also strong. delivery took quite a while... but item is good. so tiny mirror, so light, don't feel like from glass. but still ok to check make up etc, can paste behind hp etc. Hi Seller, I see this page has been inactive but i'm very interested to buy! Could you let me know if you're still selling/active etc.? Thank you! 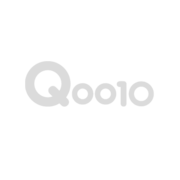 I can't put Japan address in qoo10. Can you advise? Do you send item to Japan?